Ever wondered what is it like to be on the receiving end of a Sir Alex Ferguson hairdryer? Or how Jean Marc Bosman reacted the exact moment he discovered he d won his famous court case? 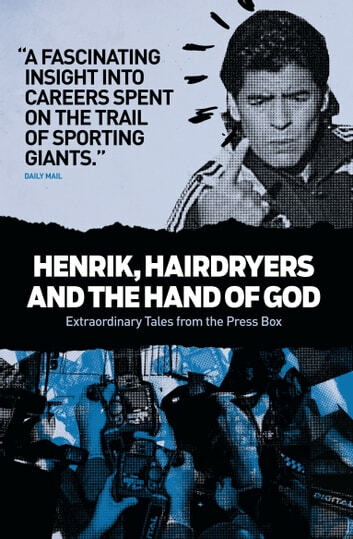 Henrik, Hairdryers and the Hand of God lifts the lid on British sports journalism. Leading sports writers such as Patrick Barclay, Graham Hunter, Tom English, Graham Spiers, Hugh Keevins, Gerry McNee, Davie Provan, Pat Nevin and dozens of others powerfully relate the real stories behind the headlines, laying bare the world of sportswriting and broadcasting in all its fascinating glory and infamy. All proceeds from this book will go to SANDS, the charity which supports bereaved parents of stillbirth and infant death. What's It All About Ralphie?